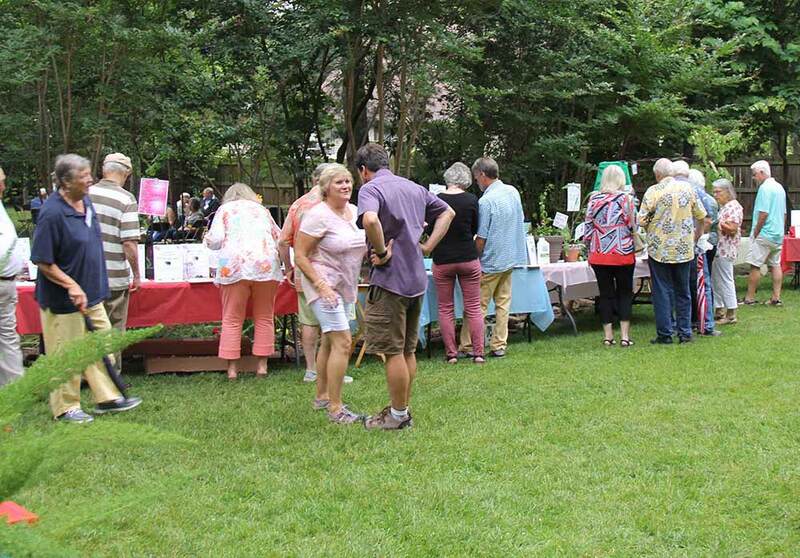 Tickets are available now for the Lendonwood Gardens fundraiser, the Garden Party, set for Friday, June 22, featuring a sit-down buffet, silent auction and lively music at the botanical garden in Grove. Gala tickets are $50 per person and may be purchased now on the Lendonwood web site at www.lendonwood.com. In addition, invitations have been mailed to Lendonwood supporters. This year, all guests will be able to dine at tables dotting the area around the Japanese Pavilion and American Backyard Garden. The buffet dinner will be prepared and served by popular caterers Timbered-In. The Garden Party begins at 5:30 p.m. at the garden located at 1308 Har-Ber Road. Attendees should enter through Lendonwood’s back entrance near the Hummingbird Garden. Deadline for reserving tickets to the Garden Party is June 15. Tickets will not be sold at the gate. Dress is casual. Live entertainment, provided by Jerry Ruzicka of Grove, will set the stage for bidding during the silent auction. A broad range of donated items and packages will be available for the auction.